Game room, bonus room, rec room, loft—whatever you choose to call it, an extra room in your house can come in handy. Here are five creative ways to use these spaces. As working from home has grown in popularity, the demand for home office space has risen with it. Some houses (especially new homes) offer a study or a den that’s well suited for this purpose, but others require a little more creativity. Before you sacrifice a dining room or bedroom, explore your options in the finished basement or loft. Even if you don’t have to work from home, a home office could save your coffee table from disappearing under the clutter of household bills and homework! Tired of trying to hide a TV in your formal living room? Give it its own space! 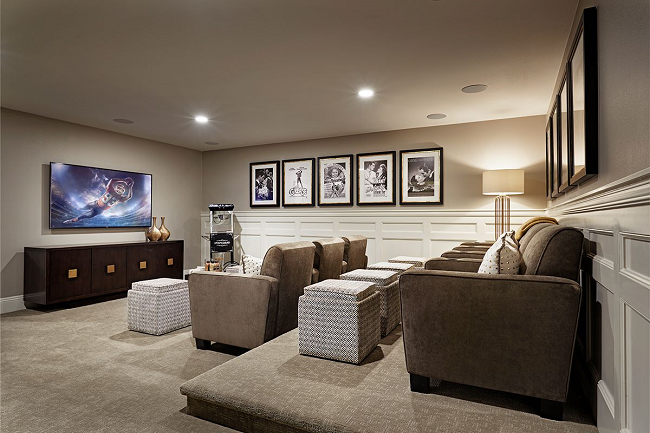 A media room can be as simple as a sitting area with a television, or as elaborate as a miniature movie theater—complete with projector, surround sound, rows of theater seats, curtains and a popcorn machine. From scrapbooking and sewing to pottery and painting, creative hobbies can create a big mess. 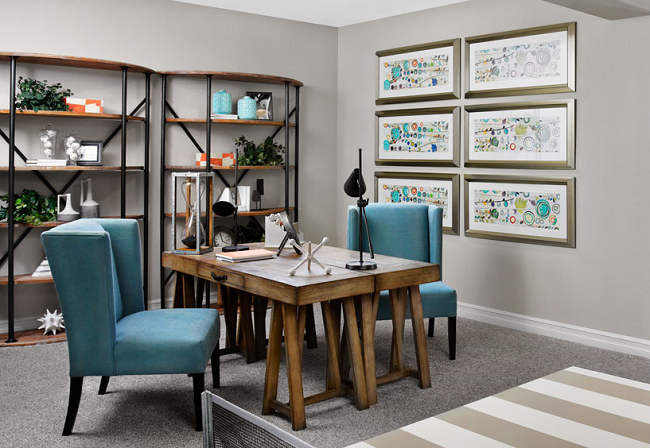 If you don’t want to fill your family room or dining room table with craft supplies and works-in-progress, a hobby room or studio could be just the solution for you. 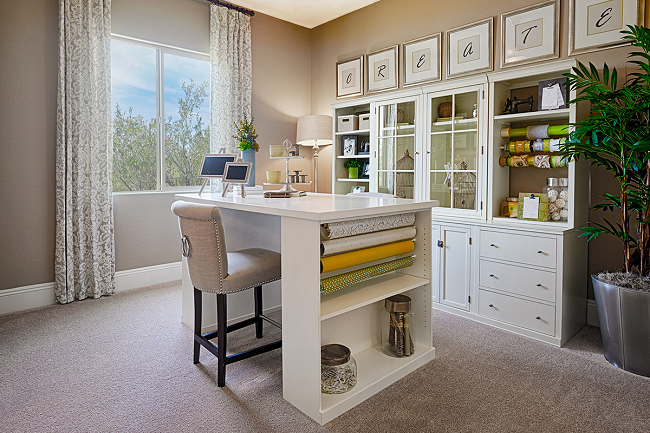 A separate space for a worktable and all your tools could help you stay organized and focused on the pastime you love. Mess-free arts like dance and music can also benefit from a dedicated workspace, especially if you choose to soundproof your studio and add other equipment to help you practice. Why pay for a monthly membership when you can have your own workout space at home? 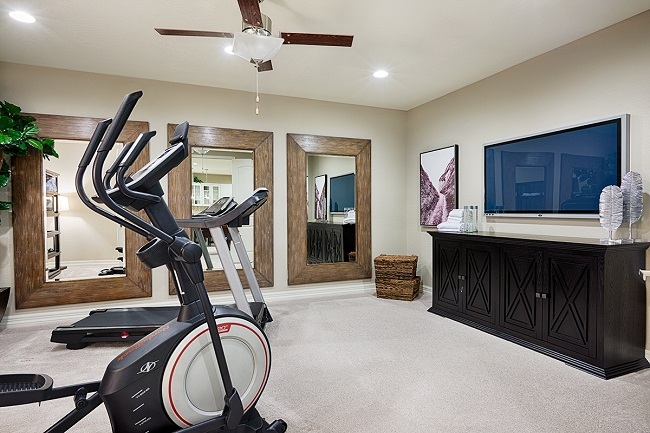 This option is particularly attractive for those who have exercise equipment stashed in the garage or crammed into the master bedroom. Do you have children, or plan to have them in the future? If so, you may want to have a room set aside for them and their friends. Having a playroom or teen room may help cut down on toys and other kid clutter in adult areas. You may also appreciate having a place to send them when you want to have grown-up time. If you like these ideas, you may be interested in our new guide, How to Choose the Right Floor Plan for Your Lifestyle. Get your free copy today! Looking for design inspiration? Check out our Basements & bonus rooms board on Pinterest!